If you’re keen on saving money (who isn’t?) then you should take a closer look at coupons. TLC recently had a show entitled “Extreme Couponing” and I have to say that I was appalled. 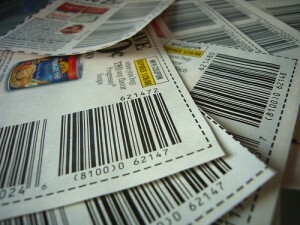 I was geared up to see a television show highlighting how to use coupons correctly, and teach viewers how to easily save cash. Instead, it showed someone who (like the title announced) was extreme! It was borderline crazy. Coupons don’t have to take all your time, and you don’t have to shop at every store in town. The key to coupons is only buying what you would normally buy. Peanut butter for example. Most every family without peanut allergies will have peanut butter in their pantry. So you were already going to pay the nearly four dollars for the jar, why not save some cash by using the coupon? Stocking up is also great idea, but you don’t need to stock up for more than six weeks! No need to buy food that will go bad before you can use it. To make the most out of coupons, you wait until your desired item goes on sale. Then combine that with a coupon and you save a ton. You buy just enough to last until the next time the item goes on sale. And believe me, it will go on sale again. Everything goes on sale, some more than others, but it will all get there eventually. Usually about every six weeks. If you’re interested in saving this cash, look up local coupon classes in your area. And if you live in the south, check out www.SouthernSavers.com – this website does all the matching for you. They find out the sales and match them with coupons that are out at that time. Saves you time and money. Score.